In the primary classes (Std. I to IV) we believe 'Direct Experience' is the basis for all learning. The curriculum in the primary school is organized according to the fourfold interests of the child – in conversation, inquiry, construction and artistic expression. The curriculum is designed in house to stimulate the reasoning ability in a child, thus preparing the way for the development of a scientific mind. Project Assisted Method of Instruction is followed which leads to collaborative learning. Thematic teaching takes place due to which children get complete information on a particular topic. Teaching goes beyond the text books. Regular visits and field trips to parks, Conservation centres etc. Sensitise them to the needs of the environment. Equal weightage is given to curricular as well as co-curricular activities. 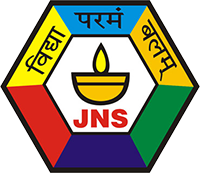 After Grade IV, parents have the option to continue with Secondary schooling at JNS or opt for the Middle Years Programme at JNIS.